A major South African Garage and convenience center is reportedly boycotting Israeli goods due to Muslim and BDS pressure. 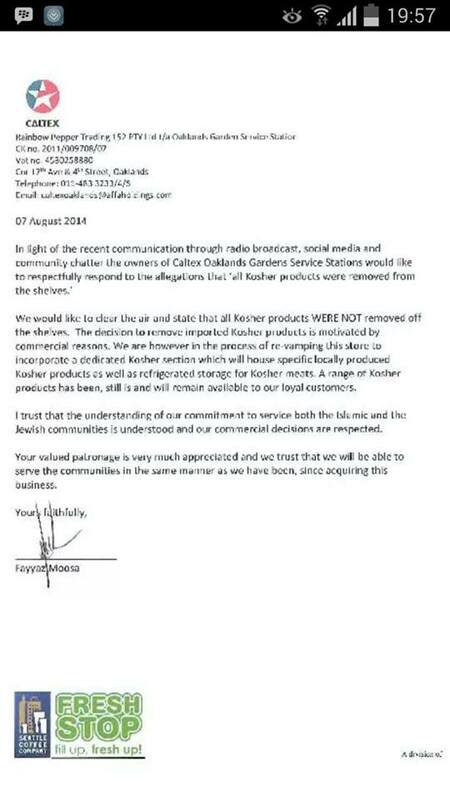 After kosher products were reportedly also removed, a local outcry resulted in this patronizing and insulting letter which you can judge for yourselves. We say- stock Israeli goods again, or no Christians or Jews should enter your center. 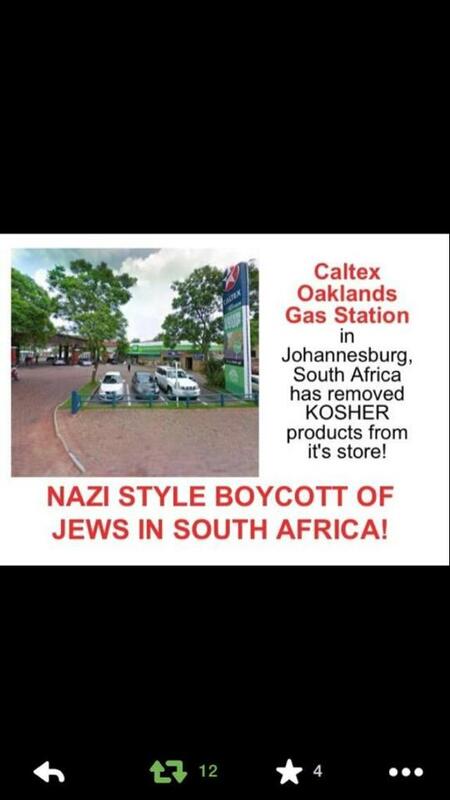 Previous PostThreat to petrol bomb Israel rallyNext PostUniversity of Cape Town adopting BDS?